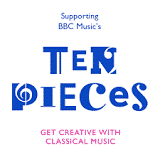 Beat Goes On is proud to be a BBC Ten Pieces Champion and to provide CPD that helps schools and teachers to make the most of this inspiring repertoire. Our BBC Ten Pieces CPD will give teachers the confidence to to explore and develop performance and composition skills with their pupils. So much fun, definitely full of ideas that can be used in the classroom.